Extensions are a great way to add bounce, body and length to almost anybody's hair. We are willing to offer an absolutely free consultation for anybody who is wanting to get extensions to discuss the options, and the daily at home care needed. There are three major applications that we do at Teds Hair Studio, and all three use only the finest hair available on the market. We sometimes use multiple techniques to achieve a desired look or style ability preference of our clients. We order our hair directly from suppliers all over the world, and use only 100% human hair to ensure that the product we deliver is the finest quality products, to meet the highest standards and expectations. Being fully certified in multiple application techniques, we are able to produce consistent and reliable results every time. If you are looking for a weft, individual grafts or tape-in extensions then come to one of the best extension specialists in the state! This is one of the first forms of putting extension hair on a head, so there is many different options that we use. 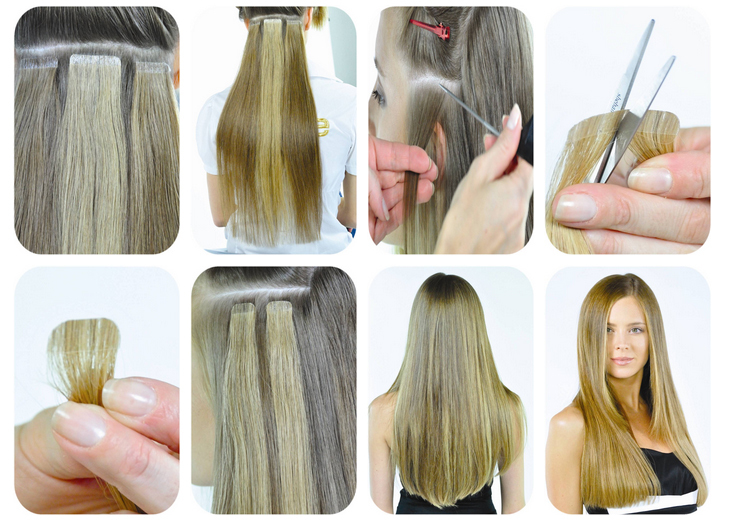 This is usually the most affordable way to get extensions, which will create beautiful long flowing hair; however, it does have less styling options than some of the higher priced extension techniques. We install this hair in rows and we will show you how to properly care for your hair during the process. The standard sew-in technique is something that has worked for years and is available upon request. Our technique of application at Teds Hair Studio doesn't require the hair to be braided, so it lays flatter on the head, giving a more natural look along with allowing a healthier more oxygenated scalp that can lead to hair growing more efficiently. Weft hair should be maintained in the salon every 4-6 weeks to ensure that the top quality hair you're putting in is always looking its best. While we prefer to use our hair to install, we are willing to allow our clients to bring in their own hair, and we are fully capable to put any weft in with our installation techniques. This is the oldest method of using a weft of hair. 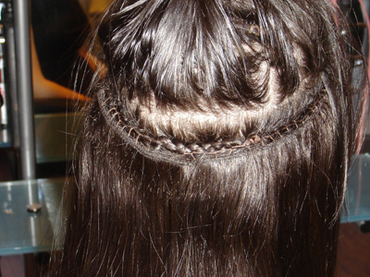 You would braid small rows across the head and then sew the hair to the braid using a lock stitch technique. We find that when you invest in a superior quality weft of hair, you should have the option to get it put in however you are most comfortable. Ted was able to learn a technique in West Hollywood/Beverly Hills area that will allow your scalp to breathe, without bulky braids so the weft will lay flatter and look better. This is the most recent craze in the extension world and we have incorporated this technique into our services when it first came on the scene. It is definitely the most popular technique and we use three different pre-fabricated suppliers that offer superior hair in different levels including SoCap Extensives, Hot Heads and Babe or our favorite...Perfectress. 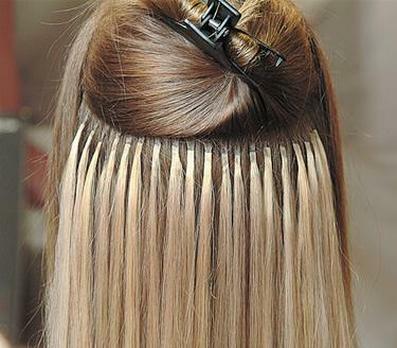 This technique uses small wefts of hair usually no longer than 2" that have an adhesive strip on one side, allowing for two pieces to sandwich the natural hair between the extension hair, giving it an application time far less than any of the other extension options. Beautiful hairstyles can be achieved with this technique with limited styling options. This technique requires maintenance in the salon every 4-6 weeks to ensure that the hair is maintaining its natural look; sometimes if they are not maintained, the tab will be very obvious. 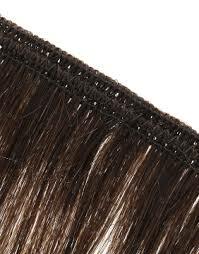 We install this hair by the pack for this technique and have three levels of hair quality to choose from to make it more budget friendly; however, with this style we will not install any hair we do not order directly from our suppliers so that we can maintain the integrity not only of the hair, but the adhesive bond as well. We will have a cost for the hair and then the installation is an hourly "extension labor" cost, and it normally takes about an hour to do a full head of seamless extensions. This is the way the seamless tape extension all come when they are delivered. You remove the tape and sandwich the hair between them. It is a the stylist's discretion if they would like to cut the piece in half or not; it sometimes will help hide the extensions around the hairline. 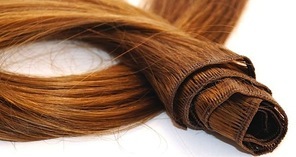 We use small strands of hair and attach them using a keratin bond technique or using an advanced micro-ring technique. Teds Hair Studio is fully certified to do hair with the top companies and uses only the finest hair. For the top brands like SoCap or Great Lengths we can order hair in multiple lengths and I will customize the size of the graft as needed. We are fully capable of creating custom extensions by ordering hair in bulk directly from the distributors located all over the world, and keep the costs down for our clientele. We have a process that requires an hourly "extension labor" fee that allows us to take any weft of hair and convert it into individual grafts. We charge by the individual graft during this process, and we usually will use around 120+ strands per client. This technique is the "Ferrari" of hair extensions allowing full style ability, including beautiful up-do hairstyles without any sign of extensions. We have an in depth consultation discussing various topics when we first meet during our initial consultation, and then we will need 3-7 business days after the initial consultation to make sure that we get the very best product available, based on each individuals needs. When the day comes for installation of the extensions, there is a long 3-5 hour application time for this technique and it is best to be prepared with a book or i-pad. After installation there is a specialized haircut that our master stylist will perform to customize the new extension hair to our client's needs, while maintaining soft and smooth transitions between the natural hair and the extension hair so that it looks natural and stylish. We will then set up a follow up appointment around 10 days after installation to make sure that everything is running smoothly, and that your head is accepting the extensions. After that, regular maintenance can be 4-6 weeks. 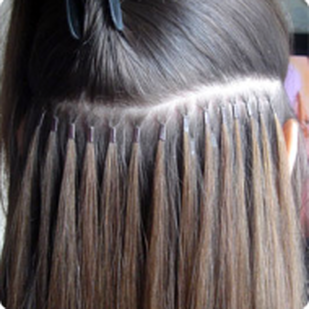 This is an example of the micro rings. We have suppliers all over the world that allow us to order premier hair in bulk and custom make any i-tip graft of hair for all different types of needs. We use different types and sizes of rings for different applications and have given our clients superior results over the years. 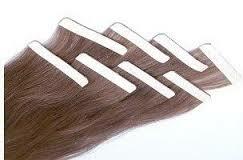 These are keratin fusion bonds. The companies that we order from have the very best polymers in their bond that will actually expand and contract based on water content, just like your hair does, making them the safest and most gentle option when considering this technique.